The combination of paruppu usili, mor kuzhambu and Garlic pepper jeera rasam makes a tasty south Indian main course. 1. Soak the Toor dal and Channa dal in water for 1 hour. 2. 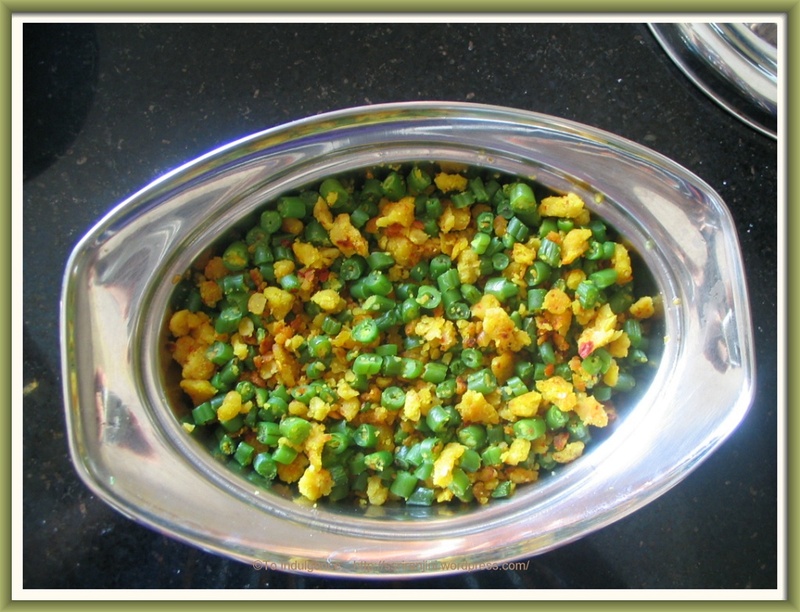 Drain and grind the dal coarsely with dry red chillies, salt, and asafoetida . 3. Cook the beans or other vegetables separately and drain out the excess water. 4. 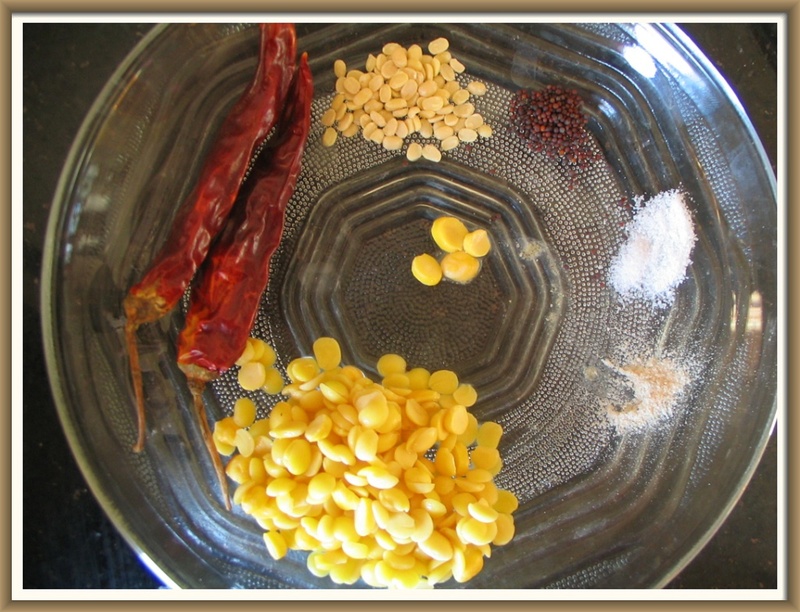 Heat oil in a pan and sauté the mustard seeds, urad dal, turmeric powder and curry leaves. Add the crumbled mixture and the cooked beans. 5. 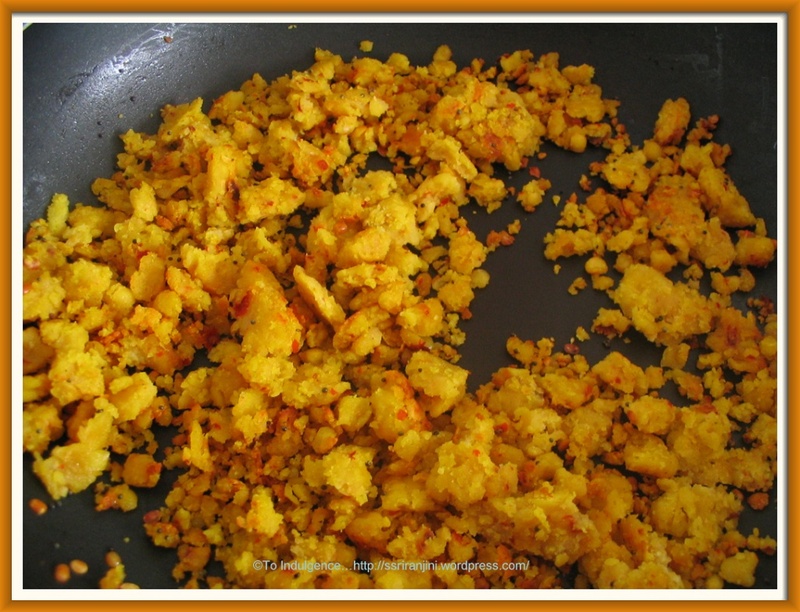 Fry the mixture as per your liking(I like it to be fried,crispy and separate granules as this tastes good). Finally I have found out how this delicacy is made. I have had it a couple of times at a friend’s place and have always been the one to finish it to the last bit! This is a very healthy and tasty dish! Thank you for putting together the recipe. I got my last recipe for the same dish from the International Vegetarian Union but that one was not as precise as yours is! 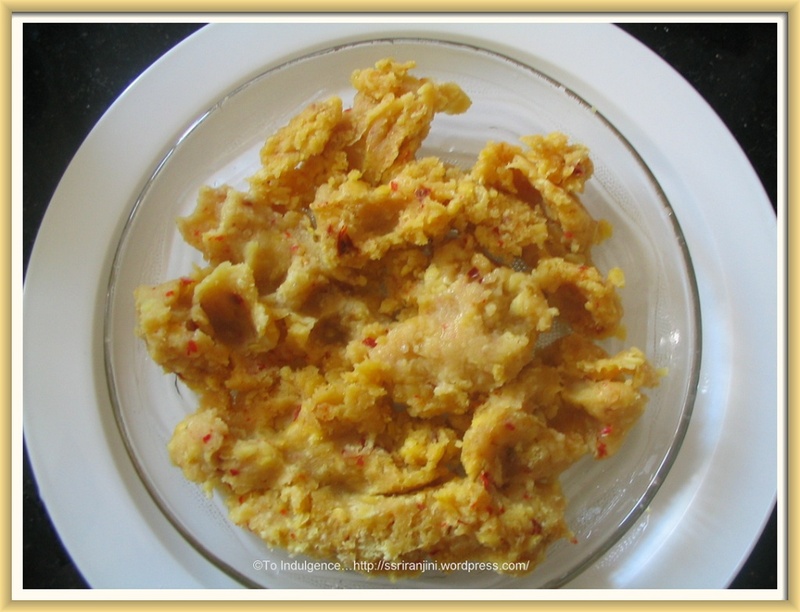 This is the recipe which reminds me of my kunju kutti athai (aunti) who was an expert in this. If one fries the ground mixture straight, it will be very tasty as it will consume lot of oil. On the other hand steaming and then frying takes less oil and it is very healthy. To make the steamed mixture crumble after cooling, I put it in the mixie and give only one rotation. Do not rotate more. I regularly steam only in idly making vessel.